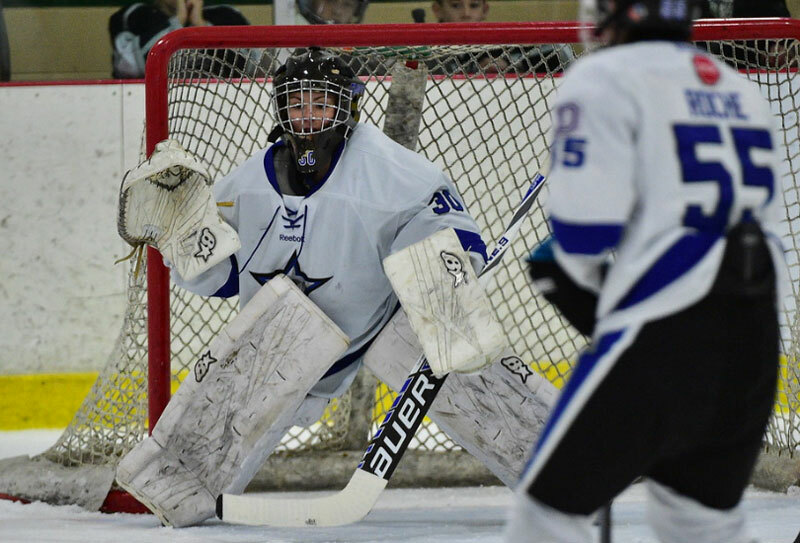 Freshman goalie Laurie Cox began playing hockey when she was 13 for the Naperville Sabres. Photo courtesy of Laurie Cox. 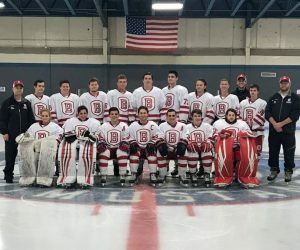 When Bradley club hockey head coach James Fitzgerald expanded the program to include both a D2 and a D3 team over the summer, he knew he would be advancing the program forward, but he did not realize he would also be setting the stage for Bradley history. According to Fitzgerald, the expansion was meant to ensure all who wanted to join and help drive the program forward, could. For the first time in their 49-year history, a female will be taking the ice with a Braves jersey on. Laurie Cox, a freshman psychology major, is the first female to play on the Bradley club hockey team. Cox is one of three goalies on the D3 squad. According to Cox, she initially became interested in hockey because of her dad. I first started playing when I was 13, and I got involved through the Naperville Sabres, Cox said. My dad got me into the sport. At first, I didnt think I would like hockey, but he took me to a few CHL games, which is a lower level hockey league, and I just fell in love it. Cox said she had her first experience playing for an all mens squad while goaltending for her high school, Downers Grove South. The Bradley club hockey D3 squad will be on the road as they take on Northwestern University tonight. ￼Photo courtesy of James Fitzgerald. My high school team actually contacted me and was like, Hey we need a goalie, Cox said. They didnt really care that I was a girl, so that was my first experience playing on a mens team, and I really liked it, so I just stuck with it. One of Coxs teammates in high school, freshman engineering major Matt Cipra, also plays on the club team. 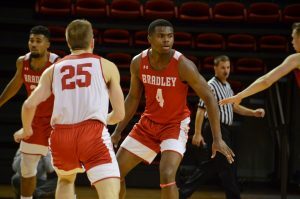 Cox said she credits him with the reason she joined the Bradley club team. 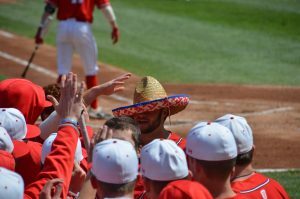 Matt Cipra, who was already on the team, talked [Fitzgerald] before tryouts even happened and let him know who I was, Cox said. The coach then reached out to me and said, Hey, Matt said youre a decent goalie, would you like to come out? I knew I wanted to play mens hockey in college already, so I said, sure. The whole situation has just worked out really well for me. According to Cipra, he reached out to the coaches because he thought Cox would help the team improve. The work ethic that she brings with her every time were in practice is what sets her apart, Cipra said. She pushes everyone else to become better, as well. 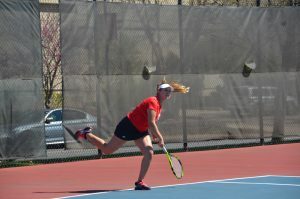 Coxs constant drive to improve has earned her the respect of her teammates something she said does not always come easy. So far, its been awesome, and I couldnt ask for much else, Cox said. Theyre really cool with me being a girl and everything. Theres a lot of respect, which hasnt come easy on some other teams that Ive played on. They just treat me like another one of the guys, which I really appreciate. Cipra said the team does not think about whether Cox is a male or female while on the ice. None of us really think about that at all, to be honest. We just see her as another player and someone else whos trying to help us win games, Cipra said. While Cox is currently the third goalie on the team, right now, she is mainly focusing on improving her game and helping her team in any way possible. I just want to keep getting better, and thats been my goal since day one, Cox said. I just want my team to do well, so anything I can do to make the team better, thats what Im going to do. Even if I dont get a chance to play yet, or it takes a year or two, Im just going to keep working hard. For other females who want to get involved in mens sports, Coxs advice is to go for it. You cant let your gender or body determine what you can and cant do, Cox said. You can do anything you want. Its definitely not easy, but you just have to work for it. Anyone that has not attended a Bradley Hockey game yet…Come on out and enjoy it! The passion is THERE!